Here is a list of the major Pinot Noir Festivals and other major events also pouring Pinot Noir. If you plan to attend, purchase your tickets early as many of these events sell out quickly. Check the festival websites for further information and sign up for the mailing list to receive advanced notification of ticket and registration availability. Held in Queenstown, New Zealand. Begun in 1999, with 40 wineries and 200 wine enthusiasts attending this festival. Held in late January. For information: www.pinotcelebration.co.nz. Last 10 days in January. Crab feeds, crab cruises, winemaker dinners, wine competitions, crab cake cook off, and dozens of other crazy crab events throughout Mendocino County. For information: www.visitmendocino.com. Two days of wine tasting, tours, education, and winemaker talks. Over 100 wineries participate. For information: www.wineroad.com. Month long (mid January to mid February) series of winemaker dinners and Grand Tasting with 100 wineries participating, mostly from Central Coast. Discontinued. This local festival in Melbourne, Australia attracts 150 people to celebrate Pinot Noirs from around the world. Biannual (last held in 2017), sponsored by Mornington Peninsula Vignerons. Held in February. For information: www.mpva.com. Sommelier Daniel Johnnes presents this four day event with Burgundy seminars, tastings and spectacular dinners. Burgundy's leading vignerons attend. Alternates between San Francisco and New York each year. For information: www.lapaulee.com. Sponsored by Affairs of the Vine, this event began in 2002. Over 250 Pinot Noirs from North America are evaluated by a diverse professional tasting panel. 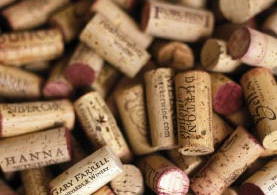 The top 30 wines are then presented at a blind tasting at the California Culinary Academy in San Francisco, California. 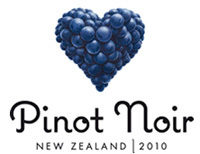 Awards are given to the Pinot Noirs voted the favorite by the tasting panel as well as the consumers who attend the event. Seminars on Pinot Noir and dinner with the winemakers are offered. Usually held in early March. Discontinued since 2014. For information: www.affairsofthevine.com. Two weekends. Over 100 participating wineries. Taste from barrel and order futures. Very popular and very crowded event. 40th Anniversary event March 3-5 and March 10-12, 2017. For information: www.wineroad.com and http://rrvw.org/crab-fennel-fest/. This annual 3 day Pinot Noir Festival originally held in California's Central Coast at The Cliffs Resort in Shell Beach and moved in 2015 to Bacara Resort & Spa in Santa Barbara. Seminars, tastings of over 120 different Pinot Noir producers, a Burgundy seminar, many special dinners, and educational tasting seminars. Held in early March. Tickets available for entire weekend or single events. Register at: www.wopn.com. Winery open houses and vineyard seminars. For information: www.dundeehills.org. Held throughout Santa Barbara Wine Country in mid-April. Over 100 local wineries, food from top local restaurants and caterers, live music. Grand Tasting in River View Park in Buellton. Many wineries offer open houses, winemaker dinners, library tastings etc.. Also Santa Barbara Wine Seminar, Big Bottle Bash and Vintners Visa Wine Country Tasting Pass. Sponsored by the Santa Barbara County Vintner's Association. For information: www.sbcountywines.com. This festival is held annually in Philo, California, in the heart of the Anderson Valley. 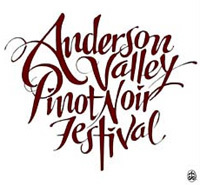 Dating back to 1998, it is focused solely on Pinot Noir from the Anderson Valley and attracts approximately 450 people. Friday Technical Seminar, Saturday Grand Tasting, and Sunday Winery Open Houses. Lodging is limited in the Anderson Valley so many attendees stay on the Mendocino Coast and use a shuttle to the Festival or drive the 1.25 hours from Healdsburg. Held in mid-May. For information: www.avwines.com. Visit wineries in the Willamette Valley Friday thru Sunday that are rarely open to the public. For information: www.willamettewines.com. Always 3rd weekend in May. For information: www.pasowine.com. 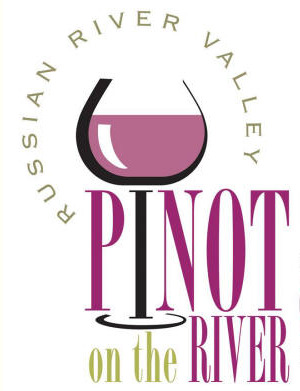 A multiple day celebration of Russian River Valley Pinot Noir including seminars, Passport to Pinot, and Paulee Dinner. Last weekend of May. Discontinued. For information: www.pinotclassic.com. Tasting of Santa Lucia Highlands wines at Mer Soleil Winery in Salinas with gourmet food pairings. May 20, 2017. For information: www.santaluciahighlands.com. A celebration of the producers who source fruit from the 96-acre Fiddlestix Vineyard in the Sta. Rita Hills AVA. Held in a barn at Fiddlestix Vineyard. All wineries sourcing fruit from Fiddlestix Vineyard will be pouring along with great eats from Hitching Post and some cool fiddling. Inquire at Fiddlehead Winery for event details. For tickets: www.fiddleheadcellars.com/events.html. Marin County growers and wineries present their Pinot Noirs at the historic Escalle Winery in Larkspur, Marin County, California. Event may be discontinued - not sure if there will be a 2017 event. For information and tickets: www.marinwines.com. Information also at www.malt.org. 90 gold-medal wines, 17 amazing chefs. One-day event held at SOMO Village. Sponsored by The Press Democrat. www.northcoastwineandfood.com. Held at the Templeton Community Park in Templeton, California. Paso Robles area Pinot Noir producers will be pouring and 16 chefs will be cooking. Proceeds go to the Paso Robles Youth Arts Foundation. Tickets: 805-238-5825. www.pinotandpaella.com. 2016 event was the 30th. Held on the beautiful campus of Linfield College in McMinnville, Oregon, the event is limited to 700 people. The lunches and dinners are extraordinary including the traditional Northwest-style salmon bake. Besides numerous seminars, there are two large walk-around tastings of Pinot Noirs from all over the world. There are plenty of B&B type accommodations and small hotels in the area, but many attendees choose to stay on campus in the inexpensive students living quarters for convenience (walking distance to all events). Held last weekend in July. For information: www.ipnc.org. Dinner at Hearst Castle, Paulée Dinner, educational and tasting symposiums, bicycle tour, wine and lifestyle auction. For information: www.centralcoastwineclassic.org. Over 60 local wines, barbecue, grape stomp, highlands games, rare bottle silent auction. August 2, 2014 at Meyer Family Cellars on Highway 128. Website not updated since 2015. No indication of future events. For information and tickets: www.yorkvillehighlands.org. A one day tasting of wines from distinguished Central Coast wineries paired with foods from some of Los Angeles' best restaurants. A benefit for the Michael Bonaccorsi UC Davis Scholarship Foundation. For information: www.wallywine.com. A celebration of the wine, food and culture of the West Sonoma Coast. The Grand Tasting offers more than 40 producers and growers. Chicago (April), Sebastopol (August) and Orange County (November) California, all in 2014. Sponsored by West Sonoma Coast Vintners. Discontinued. Sponsored by the Sta. Rita Hills Winegrowers Alliance, a group of 50 producer and grower members. Friday night Barn Party, Saturday morning Seminar and lunch, Saturday evening Grand Tasting at La Purisima Mission, and Sunday member winery Open Houses. For tickets: www.staritahills.com. Monterey Wine Country's annual event featuring over 45 wineries. Wine seminars, wine tastings, foods, and auction. For information: www.montereywines.com. Mendocino County's celebration of food, wine, art, travel, and giving. Tastings, wine and lifestyle auction held on the Mendocino Coast. For information: www.winesong.org. Sonoma Wine Country Weekend over Labor Day Weekend combines two of Sonoma's most prestigious wine and food events: the Sonoma Starlight at Francis Ford Coppola Winer, Taste of Sonoma at MacMurray Ranch with 150 wineries pouring, and the aynnual Sonoma Valley Harvest Wine Auction. Many winemaker lunches and dinners are scheduled as well. For information and tickets: www.SonomaWineCountryWeekend.com. First weekend in October. Sample the best Sonoma County wines and food at the Sonoma County Fairgrounds. 707-545-4203. For information: 707-545-4203 or http://www.sonomacountyfair.com/hf_home.php. Annual tasting of primarily North Coast Pinot Noir held in late October on Healdsburg Square. For information: www.pinotfestival.com. A 3-day event, Friday-Sunday, with a Reserve Tasting of Santa Cruz Mountains Pinot Noir and Chardonnay, a Technical Session, a Pinot Picnic in the Park, and Pathway to Pinot Paradise with wineries welcoming visitors. Sponsored by Santa Cruz Mountains Winegrowers Association. For information: www.scmwa.com. Tour Paso Robles. Held the third weekend in October. For information: www.pasowine.com. Begun as a charity wine auction in 1859, it is now a three day festival celebrating Burgundy's food and wines. Thousands attend the winery dinners and tasting. Held in mid-November. 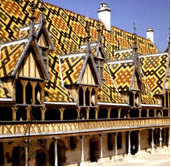 For information: www.hospices-de-beaune.com/fr/hospices/index.php. First weekend in November. Wine and food pairing at over 70 Russian River Valley wineries. For information: www.wineroad.com. First weekend in November since 2008. Brings together roughed coastline, refined cuisine, and elegant wine tastings in the backdrop of the soul of what is uniquely Big Sur. Many notable California Pinot Noir producers participate each year. For information: www.bigsurfoodandwine.org. This is a classy tasting and dinner featuring top California Pinot Noir producers. Started in 1999, it is held at the Farallon Restaurant in San Francisco, California. Limited to 300 people, the event sells out every year. Held in mid-November. For information: www.farallonrestaurant.com. Oregon's Pinot Noir Auction. A weekend of wine, food, and fun to support efforts to bring healthcare to seasonal vineyard workers and their families. I support this event with an auction item each year called "Russian River Valley Immersion" where I host two couples for four days in the Russian River Valley. For information: www.saludauction.org. Seminars, winemaker dinners, progressive dinner, wine country tours and open houses in Monterey County wine region. For information: www.montereywines.com. A three day open house in the Willamette Valley of Oregon of wineries usually not open to the public (also Memorial Day weekend - see May). For information: www.willamettewines.com. 32 prominent California wineries participate in a series of eight sessions. Dine with winemakers, winery owners and growers in each session, moderated by some of the most respected wine authorities in the country. Two and three night packages available. For information: www.YosemitePark.com/Vintners. Many seasonal wine country events. For information: www.mustardfestival.org. For $30 receive a passport to Santa Cruz Mountain wineries, many of which are not open to the public at any other time. The 3rd Saturday in January, April, July, and November. For information: www.scmwa.com.